If you're on the lookout for a casual yet absolutely chic ensemble, try teaming a black blazer with black leather skinny pants. Both pieces are totally comfy and will look fabulous paired together. Cordani tompkins sandal work amazingly well within this outfit. If you're on a mission for a casual yet totally chic outfit, opt for a tan leopard button down blouse and black skinny jeans. Both garments are totally comfy and will look fabulous paired together. Amp up the cool of your outfit by finishing off with Cordani tompkins sandal from Nordstrom. Consider teaming a white chiffon cropped top with yellow shorts for a casual level of dress. Elevate your getup with black suede heeled sandals. 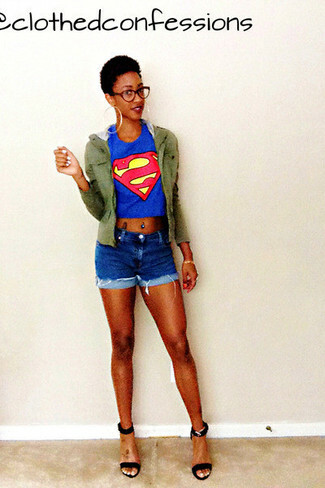 If you're in search of a casual yet chic getup, consider pairing an olive military jacket with navy denim shorts. Both pieces are totally comfy and will look fabulous together. Rocking a pair of black suede heeled sandals is an easy way to add extra flair to your look. Consider wearing a pink knit maxi dress for a casual-cool vibe. Grab a pair of Cordani tompkins sandal to take things up a notch. If you're searching for a casual yet totally stylish look, reach for a white and black horizontal striped cropped top and black skinny jeans. Both pieces are totally comfy and will look fabulous together. Bump up the cool of your outfit by completing it with Cordani tompkins sandal. If you feel more confident wearing something comfortable, you'll fall in love with this absolutely chic pairing of a white and black check blazer and black skinny jeans. Let's make a bit more effort now and opt for a pair of Cordani tompkins sandal from Nordstrom. If you're after a casual yet absolutely chic outfit, go for a black lace long sleeve blouse and blue ripped skinny jeans. Both items are totally comfy and will look fabulous paired together. 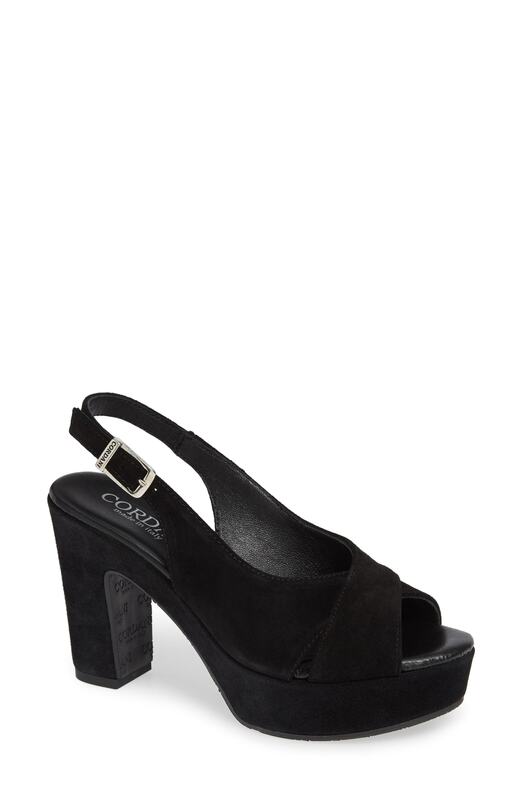 Perk up your getup with black suede heeled sandals. If you're on the lookout for a casual yet totally stylish outfit, reach for a white and black horizontal striped crew-neck t-shirt and a black bermuda shorts. Both garments are totally comfy and will look fabulous together. Black suede heeled sandals will add a touch of polish to an otherwise low-key look.